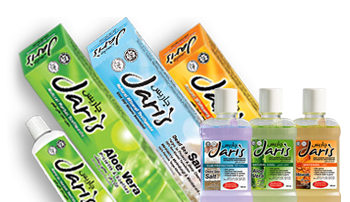 Jaris an oral care range for the modern Muslim which uses ingredients from the Prophet’s era. It provides Muslims with the highest standard of purity and peace of mind in oral hygiene. © 2009 Aria Holdings Private Limited. All Rights Reserved.